The average cost of a ductless air conditioning system is $3,000-7,500, depending on the size of your house and number of temperature zones you want to have. Ductless Air, also known as a mini split, is an ideal option if you live in an older house where installing central air is not feasible. In many cases, this system is a lot more convenient and efficient than portable AC units. How Much Is Ductless AC? On average, you can expect to spend between $2,800-5,000 on a ductless air system with ONE heating and cooling zone. A multi zone mini split used to cool a large home (over 2,000 sq.ft. or more) can be as much as $7,000-8,000 plus. You can have up to 4 evaporators (air handlers) running connected to one outside condenser. So if you want to add 3 additional evaporators, you should add and additional $3,000-4,000 to your initial installation charge of a single unit mini split. Combined ductless and heating cooling systems cost 30-40% more than an AC mini split of the same capacity. Typically there is also a separate charge for various remote control options. A nonprogrammable wall mounted thermostat is around $15-75, a programmable one with basic features is $25-125 and a remote wi-fi thermostat is $100-335, from brands like Nest Ecobee, and Honeywell. Overall, your total price will depend on the time it takes to do the job, as well as the number of evaporating and condensing units. On average, this project can be completed in about 10 hours. The bulk of labor is in the running of electric and refrigerant lines from the condenser outside to the air handler units inside the house. Any difficulties in cutting into the walls and accessibility can significantly increase the cost of labor. For example, having stucco siding makes it harder to cut in and run these lines, than if you have other types of siding, such as vinyl. You may also need to upgrade your electric panel to 200 amps to accommodate the system. In this case, you should add about $800-1,200, if no complications arise. An AC unit that has multiple evaporators and will cool multiple house zones will be about 20% more expensive. The average is $1,300-2,000. Low-end pricing starts at $750-800, and high-end multi-zone units cost as much as $2,500-5,000+. As a rule of thumb, the more indoor air handler units you want, the more expensive the system will be. If you want to add heat as well, you will need to install a mini split heat pump. These units are significantly more expensive, and you can expect to spend 30-45% more, compared to an AC only mini split. Pricing for single zone heat pumps with one evaporator starts at around $950 and can go up to $5,500-6,000 for premium brands. Multi-zone unit prices are $1,150 on the low end and $6,500-7,500 on the high end. Keep in mind the cost of any unit will also depend on its heating/cooling capacity, as measured in BTUs. Ductless air conditioning and heating capacities range from 9,000 to 42,000 BTU. In the world of mini splits, there are many brands and options that fit a wide range of needs. Higher end units offer more functionality, are better able to handle drastic outside temperature variations, are more energy efficient, tend to be more quiet when operating, and often have better warranties. More expensive units also offer more consistent heating and cooling inside the home, reach the desirable temperature level much faster than standard models and do a better job of eliminating hot and cold spots throughout the house. This is possible because they have inverter compressors, which are not present in lower-end models. However, often you are also paying a premium for the brand’s wide spread recognition and top notch reputation. Mitsubishi ductless mini split is a perfect example. The company is so famous that most homeowners automatically consider their products to be the best and only option. Our HVAC installers prefer to work with premium brands that offer the most reliable, long term service and the best level of comfort. These are LG, Fujitsu, Daikin, Friedrich, Trane, and Mitsubishi. AC and heat pump models by LG are usually most economical, Daikin, Friedrich are in the middle of the price spectrum and Fujitsu together with Mitsubishi are most expensive. The same size and capacity LG ductless heat pump costs $5,140, compared to $6,460 for a Mitsubishi heat pump. Standard quality brands are Pioneer, Air Con, Classic America, Blueridge and Gree. These units cost 20-40% less than their premium quality counterparts. One major benefit often cited by proponents of ductless air conditioning systems is that it is significantly cheaper than central air. However, this is often not the case. In fact, multi-zone ductless mini split systems can cost just as much as central AC. Primarily, you can save money on ductless air if you only need one or two zones. However, the bigger your house, the more expensive it will be to install a multi-zone mini split. In larger homes, over 2,500 square feet, they can cost as much as $7,500-10,000, which is about the same as central AC. If you are on a tight budget, you have to be careful when comparing the cost of both systems. 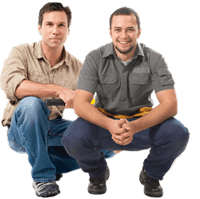 The best way is to get an estimate for each one from a professional AC installer. Bottom line: don’t just assume that ductless will cost you less than central air. The difference for your particular home may turn out to be minimal, so you will have to make your decision based on other considerations. Cool. I need that in my house! 🙂 Where is it available? Almost every residential HVAC contractor now installs mini-split Ductless systems. However, there are some that actually specialize in these. I need Ductless for my home as well. I have an addition connected to an old duct work, and it’s brutally cold there in the winter. I have to run 2 space heaters to get it to a comfortable lever. And while I do need to improve insulation, there is only so much I can do with it, because addition is built on a VENTED foundation – so cold air comes from the bottom. Ductless system will solve poor heat from ducts, and when I get my solar panels going, it will be free to operate! It’s great that this article mentions how a ductless heat pump is a good choice to get both heating and cooling for your home. If you get the necessary system, it would probably help you keep your house at a comfortable temperature. When choosing your system, you’d probably want to figure out the type you want, whether it’s a ductless heat pump or something else, and then hire a professional that has experience with it so that they’ll know how to properly install it. Replace existing air conditioner and two living room cadet heaters for a mitsubishi mini split heat pump condenser and 2 evaporators in 2 rooms. Other mini split systems will be considered if they compare to mitsubishi and run as quietly, noise is a big factor as well as quality performance. Lower cost is also a factor as some minor sheet rock and exterior siding restoration will be required. Is that a question? I don’t see what you are asking. In any case, I spent 4 weeks researching Mini Split heat pumps, reading specs, reviews, comparing prices, talking to experts, installers, HVAC contractors, suppliers, etc. I did this, because I’m in process of converting my whole house to heat pumps. I installed my first one 3 months ago (did all the work myself, except for “freon” work. R420A refrigerant is EPA regulated and dangerous to work with, so I had an HVAC guy do that part (took him 2 hours total). My main goal of Heat Pumps is to use it for HEATING (not cooling, as I don’t very much like AC). I installed a HIGH HEAT model. Models in questions are 9K BTU High Heat models, top of the line from both manufacturers in both SEER (AC efficiency) and HSPF (Heating efficiency). MITSUBISHI: MZ-FH09NA with H2i (high heat), SEER 30.5, HSPF 13.5, 9K BTU cooling, 10.9K BTU heating (18K max). FUJITSU: 9RLS3HY (high heat), SEER 33, HSPF 14.2, 9K BTU Cooling, 12K BTU heating (22K max). Mitsu high heat model drops about 37% of capacity at -5F, whereas Fuji is still at 100% at -5F. Mitsu shuts down completely at -13F, where as Fuji goes to 68% capacity at -15F and will continue working even into lower temps. Mitsu doesn’t have a required Base Pan heater built into their High Heat model. Upgrade costs $370, and requires self installation! Fuji High Heat model comes with base pan heater built in at the factory, and no extra cost! Mitsu 9K BTU High Heat has 10000BTU heating capacity. Fuji 9K BTU High Heat has up-to 22K BTU heating capacity (12K Heating BTU rated). Mitsubishi with base pan heater is almost $1000 more than Fujitsu! By all accounts from contractors and homeowners, both brands are equally reliable, and are arguably the best in the market. So I chose, the one that has better performance AND better price (Fujitsu)! I did also look into LG, Daikin, and some no-name brands. Only LG had a high heat model, was VERY reasonably priced, had great specs, BUT had questionable reliability!